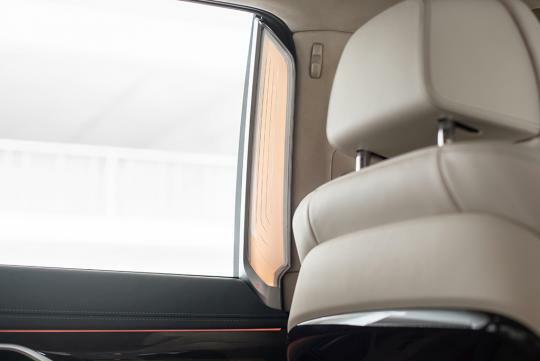 Mention about BMW's 7 Series and one would likely remember the fourth generation E65 that caused much controversy due to its radical design. Styled by Chris Bangle, Chief of Design of BMW back then in 2001, the 7 Series wasn't well liked by many. I was one of those to be honest. 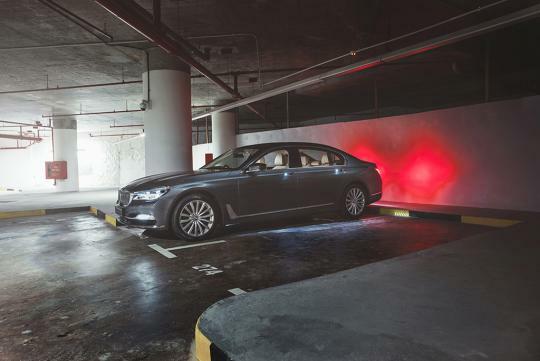 But thankfully, the generations after that never made that "mistake" again... Today, we have the sixth generation 7 Series(which looks pretty elegant in my eyes) with us and it feels like it has made leaps and bounds in every aspect since then. 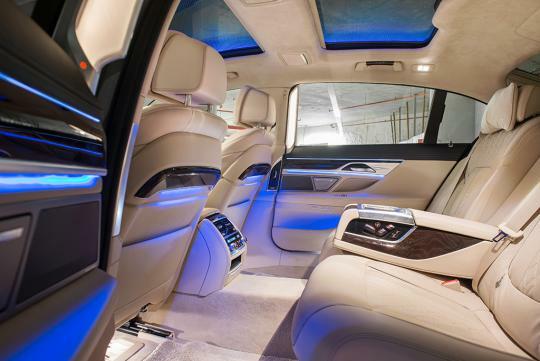 Abundance of cabin space in the front or at the back. We selected orange out of the various colours available for interior lighting for this photo... and I realised there is too much orange for my liking. via buttons that have displays that are now multi-coloured. 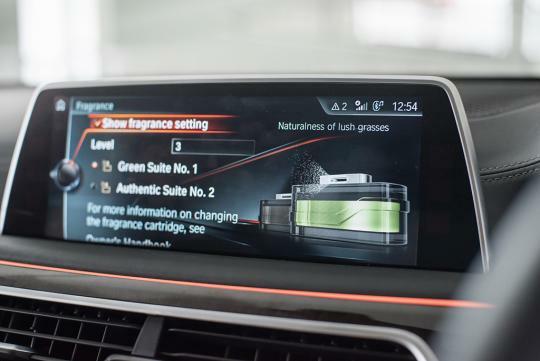 The new i-Drive display is now touchscreen capable and can recognise up to six different hand gestures. Love the warmth glow the light at the b-pillar gives off at night. 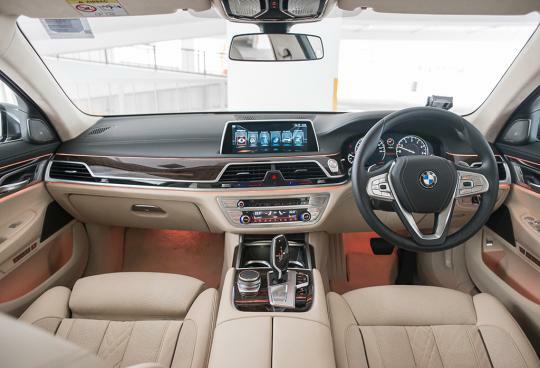 Like its smaller sibling, the 5 Series, the 7 Series gets new LCD displays for the instrument cluster. 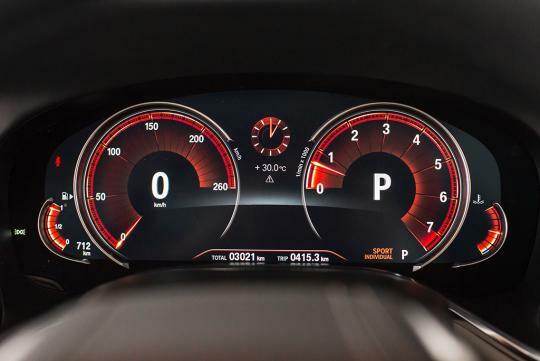 Driving modes alter the driving experience by quite a bit. 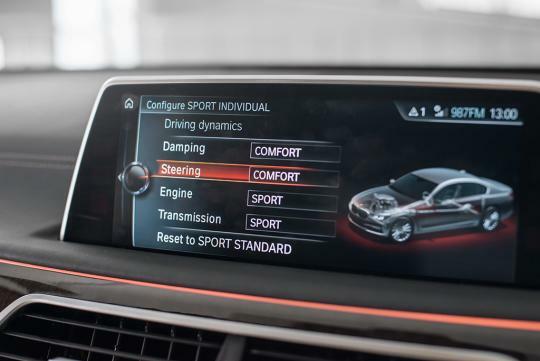 The best mode in my opinion is "Comfort Plus" which turns the dampers into its most cosseting setting, allowing the car to sail down the road and absorbing any imperfections in the way. 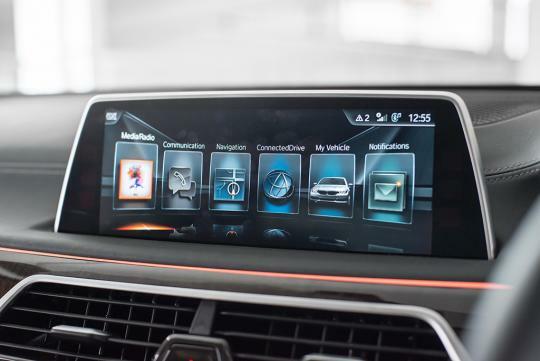 For those who do actually drive their 7 Series on their own will find the ability to mix and match your drive settings very useful. 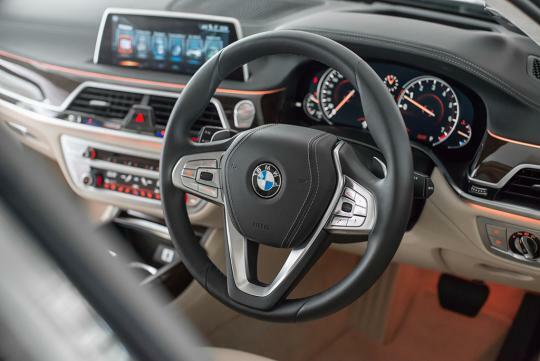 I personally prefer the steering to feel heavier while using the comfort setting for the dampers. 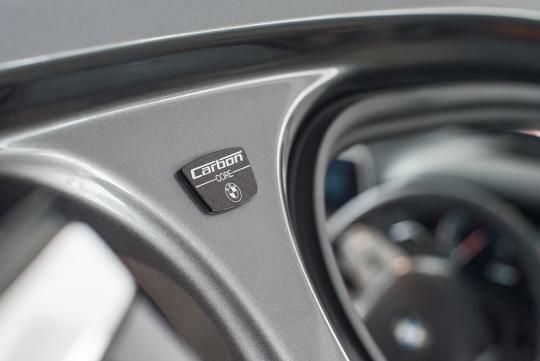 Nearly 130kg is shaved off from its predecessor with the help of carbon fibre used extensively around the car. 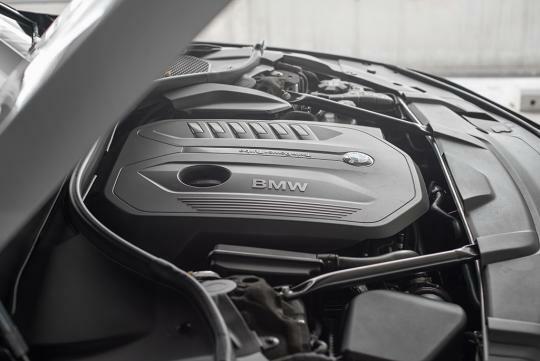 Like most of the other BMW engines, this 3.0-litre 326bhp turbocharged straight-six engine has virtually no faults. It is eager to go, punchy everywhere throughout the rev range and smooth like butter. It is also pretty economical by returning nearly 10km/L despite weighing a good 1845kg. 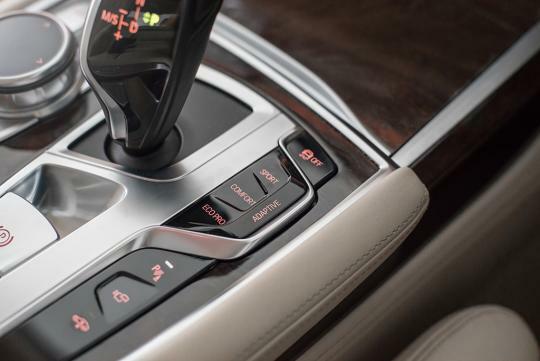 Now, here's my favourite party piece of the tech-laden 7 Series. 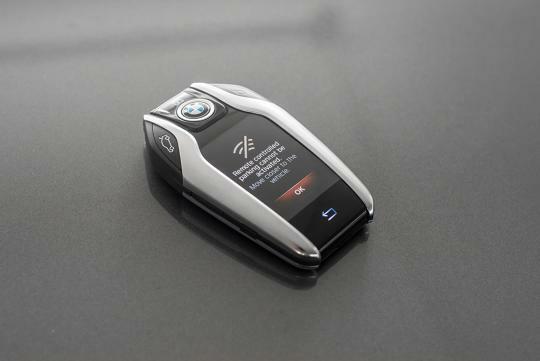 This iphone-like remote has the ability to check the car's status beside the usual locking and unlocking functions. 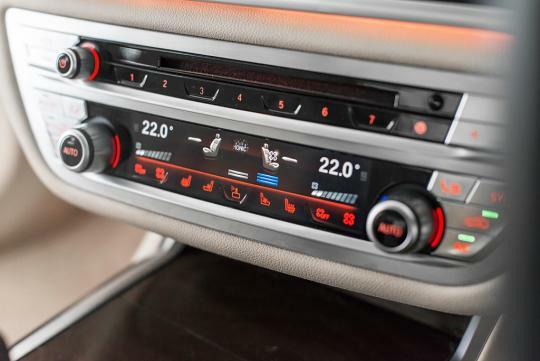 You can also set a time turn on the car's air con system before you leave in it too - very useful in our sunny island. Unfortunately, the much-raved about remote parking is not available for now as the authorities have yet to approve it for local use. 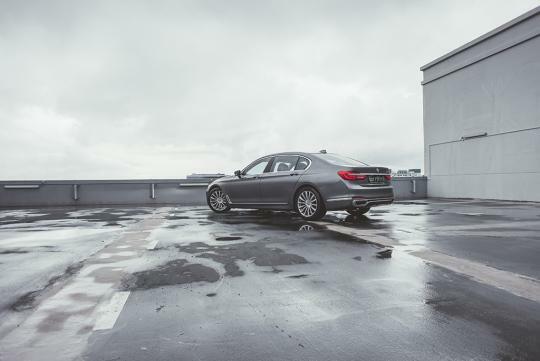 Like all the previous generations, the new 7 Series is still one of the best driving luxury sedan around. 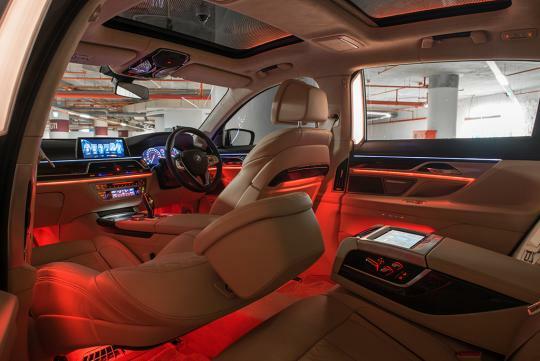 And with this generation and in this specification, the 740Li featured here has gained enough technology, space, luxury and quality to bring it to the top of it class.